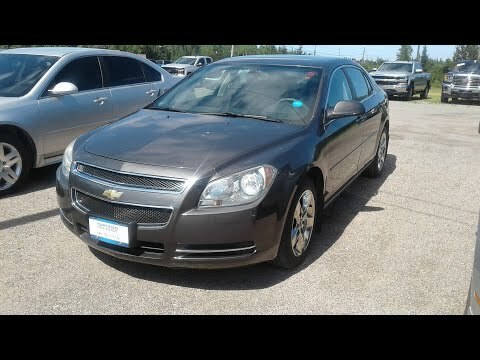 The 2010 Chevrolet Malibu's bold, attractive sheetmetal and stylish interior touches are backed by confident handling, a quiet ride and an overall level of refinement competitive with the category's best. Unlike some competitors, the fuel-efficient four-cylinder engine is available on all Malibu trims, not just the entry-level model. The Chevy Malibu is a good vehicle. It's reliable and safe to drive. It gets great gas mileage. It's very roomy. The trunk has plenty of space. One problem we've had with the vehicle is the check engine light came on, and we had it checked several times with nothing coming back wrong. We've replaced anything that could possibly have been wrong, but no one could say for sure why it came on. It eventually went away on its own. Another problem we've had is the tire gauge readings have messed up with a lot of rain/moisture in the air. The tires on the right side have shown readings low, and, when you check and leave it on to watch it as you travel, the reading will go up and down as high as what it actually is and as low as 0. Other than that, we've not had any issues, but what we have had are annoying. Dependable.. But for how long? This car's front bumper is far too close to the ground. It scrapes on everything. The car is wider and longer than I would like which makes its turning radius super wide. If the air conditioning is on while you are trying to increase speed (especially up a hill), you have to floor it for anything to happen. There is static when you use an AUX cord unless you plug your USB charger into the device as well, making a loop that connects back to the vehicle. It does well on gas on the interstate, but city mileage leaves something to be desired. Interior is comfy besides the headrest on the driver's side that pushes forward. Not the best visibility in general from the driver's seat. Reliable and spacious with great gas mileage. Best car I have owned so far. This car is very reliable. It is longer than standard cars but it has plenty of space especially in the trunk. It gets really good gas mileage for city and highway driving. I has sensors that notify you of your tire pressure for all four tires as well as your oil life. Sometimes the sensors can stop working but nothing too major. It has an AUX port and a CD player. The cup holders are in the side of the doors for the front seat which I don't really care for but they will fit most medium or small size beverages. Overall the car is very comfortable and reliable.